For athletes and outdoor adventurers who want the ultimate in a multisport on-wrist trainer, the ultra-rugged Garmin Fenix 5X Plus Sapphire Edition is here. The Garmin Fenix 5X Plus Sapphire Edition offers a wrist-based Pulse Ox Acclimation sensor for blood oxygen saturation awareness at high altitudes. Other highlights include support for colour mapping, wrist heart rate, a music player that lets you store and enjoy up to 500 songs, plus Garmin Pay. 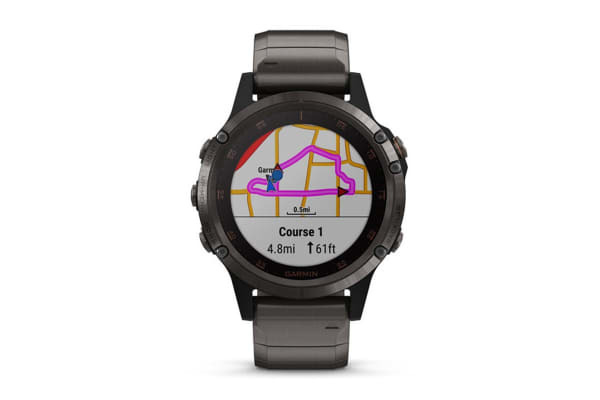 Whether you’re in the city or on the trail, Fenix sport watch’s mapping and navigation features help keep you oriented and on course. Full-colour TOPO mapping can be installed for at-a-glance navigation and location tracking. When the terrain gets steeper and you have some serious climbing ahead, your Fenix 5X Plus has special ascent features that can really help. See the climb gradient, distance and elevation gain for each ascent segment as well as a progress marker that shows how much farther you have to go. 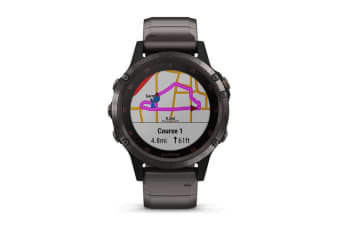 The Fenix 5X Plus watch features multinetwork satellite reception to track in more challenging environments than GPS alone. Tap into physiological metrics, running dynamics and more to track your workout stats, measure your progress and fine-tune your form. Training status automatically evaluates your recent exercise history and performance indicators to let you know if you’re overtraining, maintaining or peaking. You can also view your overall training load, which measures your exercise volume from the last 7 days and compares it to the optimal range for your fitness and recent training history. Got a power song that gets you pumped up for a race or tough workout? 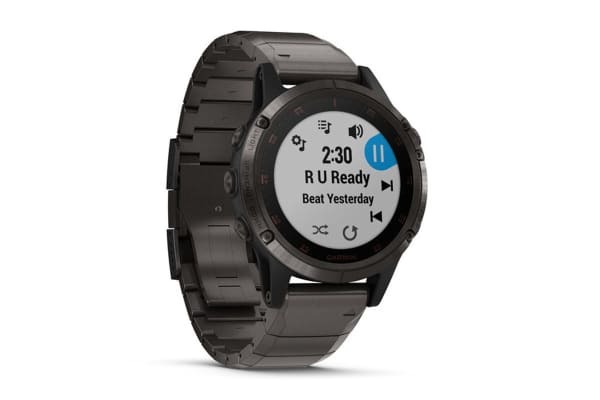 Now you can have up to 500 songs stored right on your watch, for phone-free listening on the go. To help keep pace with your active lifestyle, Fenix 5X Plus features Garmin Pay contactless payment solution. Use it to pay for purchases so you can breeze through checkout lines while leaving your cash and cards at home. Fenix 5X Plus support smart notifications when paired with a compatible device. Receive emails, texts and alerts right on your watch – whether you’re on the trail or simply away from your desk.